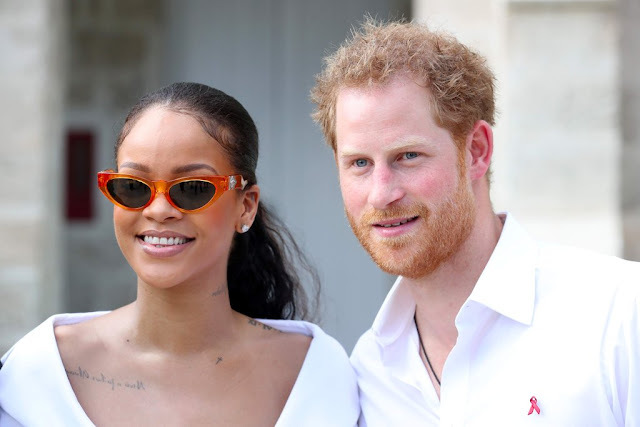 There will be a number of stars among the 600 guests at Prince Harry and Meghan Markle’s wedding, but one celebrity who won’t be making an appearance is Rihanna. The Umbrella singer, who met Prince Harry in December 2016, had the most hilarious response when she was asked if she was invited to Windsor. Rihanna wasn’t even aware the wedding was just around the corner. “So is that really coming up? Like soon, or something?” she asked the Access reporter, who replied it was in a week. “Oh shoot! See this is why I need to stay on the internet more.” “So, you weren’t invited?” the reporter asked. “Why would you think I’m invited?” replied Rihanna. Rihanna and Prince Harry famously met in 2016 when the Prince was on a royal tour of the Caribbean. 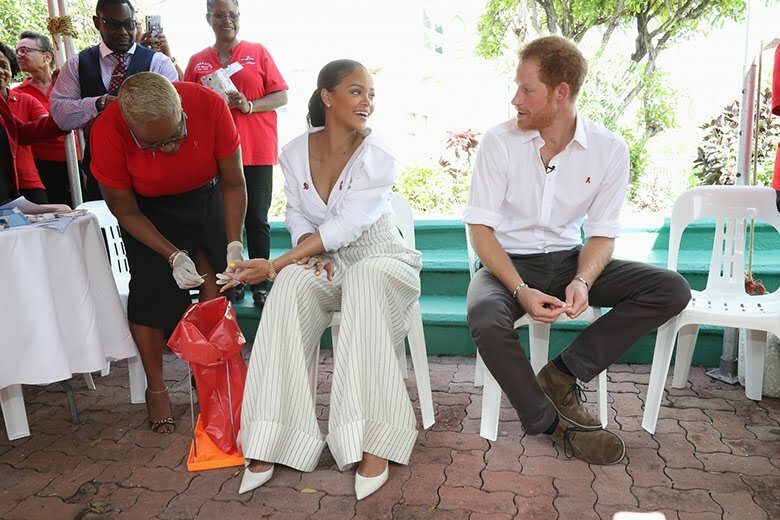 Making a stop in Bridgetown, Barbados to mark World Aids Day, Harry and Rihanna took part in an AIDS test as they visited an HIV drop-in centre, in the hope of encouraging more people to get tested. The HIV tests, which were filmed live, only took a few minutes and came back as negative for the two. The night before, Harry and Rihanna had attended a concert to celebrate Barbados’ 50th anniversary of independence. 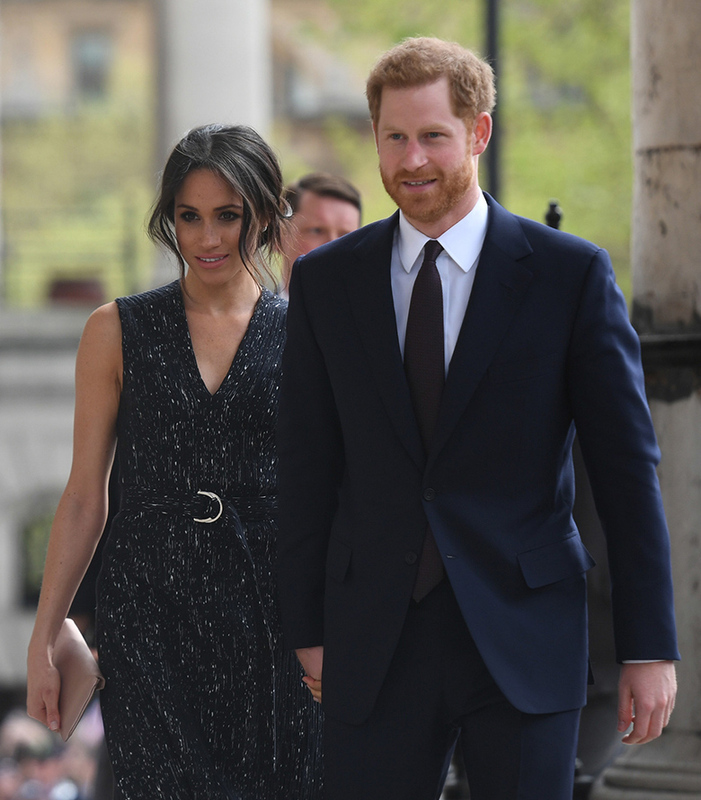 While Rihanna will not be making an appearance at the royal wedding this weekend, there will be no shortage of star power at the nuptials. Sir Elton John, who is close friends with Princes William and Harry, is confirmed to attend, as are Meghan’s former co-stars and key TV executives from Suits. Other guests likely to attend the nuptials include Bollywood actress Priyanka Chopra and tennis champion Serena Williams.